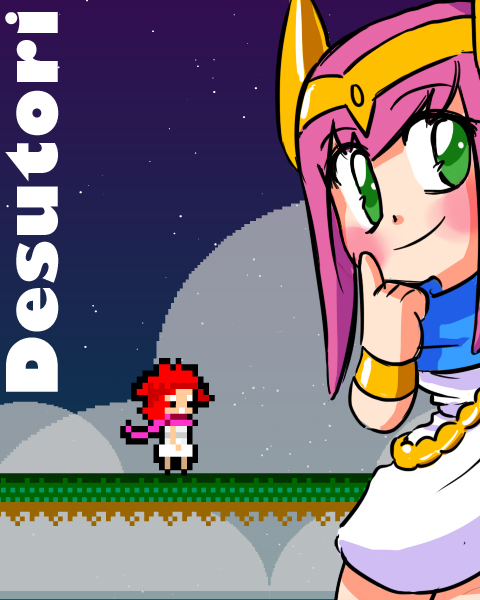 Desutori is now available for everyone that shops on Indievania, hopefully, we'll be able to reach even more places! ... or you could just go to newgrounds and rip the flash for free. Unlike Indievania where it was "name your price", Desura only allows prices above a certain limit. It's kinda weird, or I don't know how to use it. Yeah, while there's a free version, this is a dedicated port for either PC or Mac! All purchases of this version for Mac and PC help fund our next games!